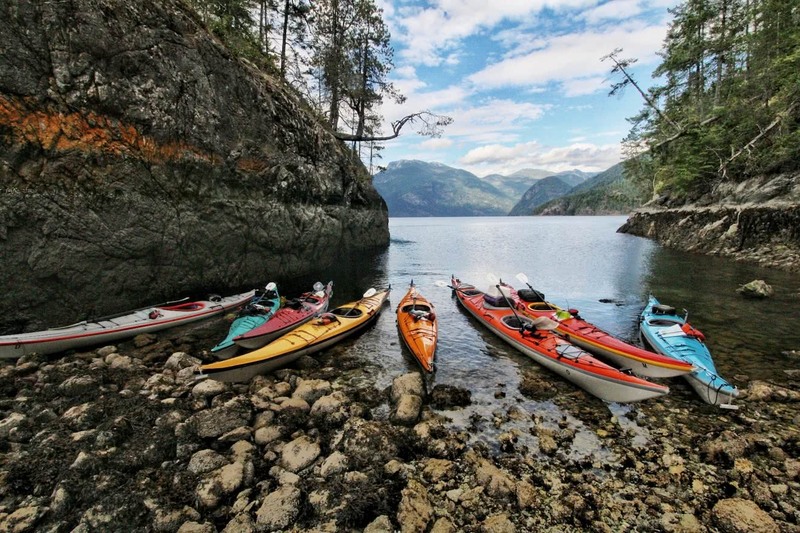 Why Choose a Sea Kayak Expedition? 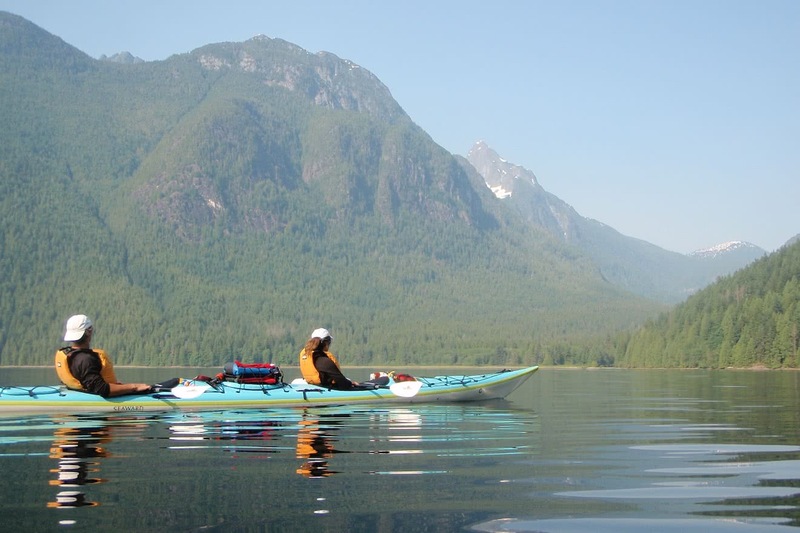 We have been running guided sea kayak trips into Desolation Sound, the Discovery Islands and Toba Inlet for over 20 years. 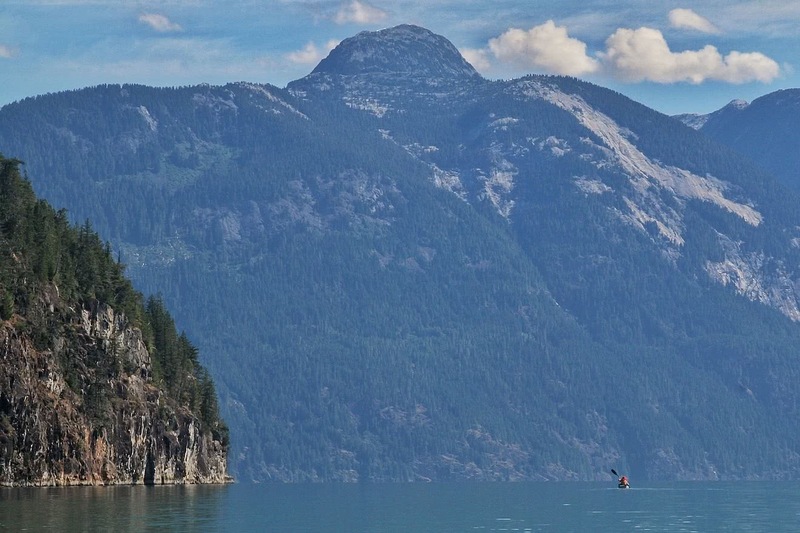 While all our guests enjoy the peace and relaxation of Desolation Sound, with its idyllic island camps and stunning backdrops, there are always those that look wistfully down the passages and inlets that lead into these distant mountains and wonder what lies beyond. 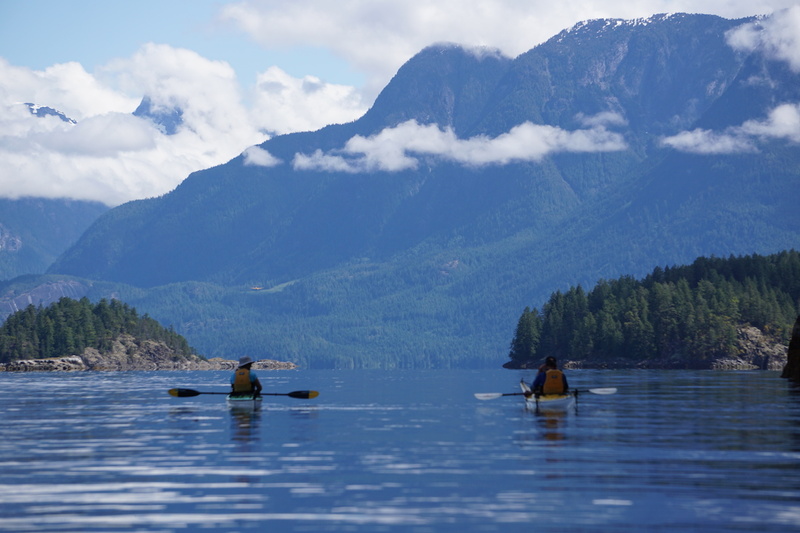 For these adventurous souls, our ‘Desolation & Mountains’ expedition-style tours are the perfect way to experience the full immensity of the incredible landscape of coastal British Columbia in the comfort and security of our fully-inclusive guided trips. 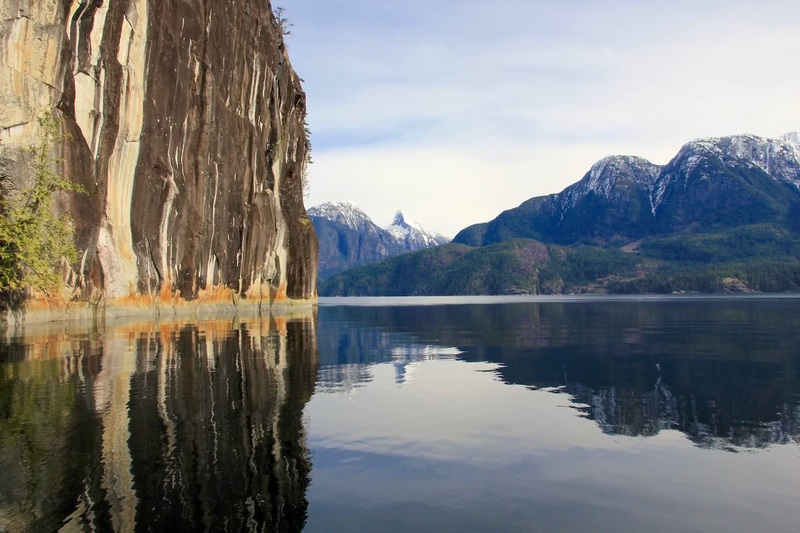 Our 5-day Desolation & Islands tours generally aim to loop through Desolation Sound and circumnavigate West or East Redonda Island north of Desolation, before returning to our Okeover Inlet base. Our 7-day Desolation & Mountains tours usually have a little more time in the remote passages north of Desolation, potentially exploring the turquoise waters of magnificent Toba Inlet, and may complete a full circumnavigation of both East and West Redonda Islands before returning. 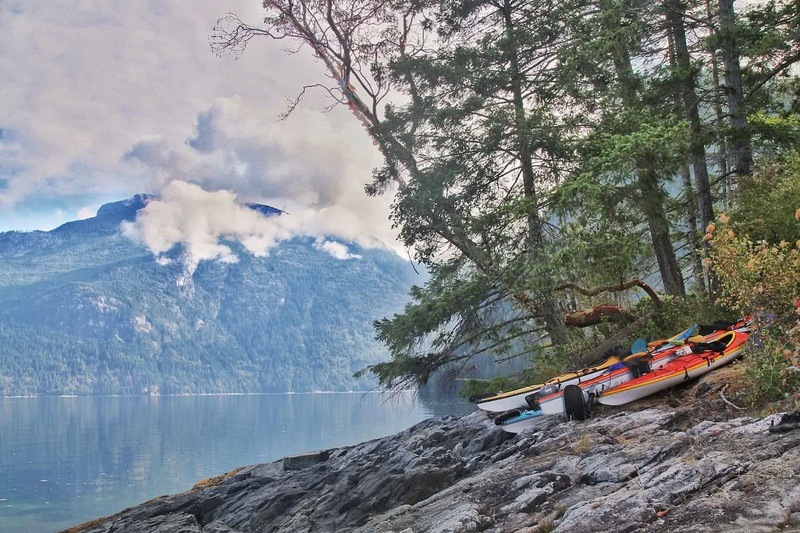 Guests on both of these expedition-style trips should expect to break and move camp most days, creating a truly remote and rugged coastal British Columbia adventure! 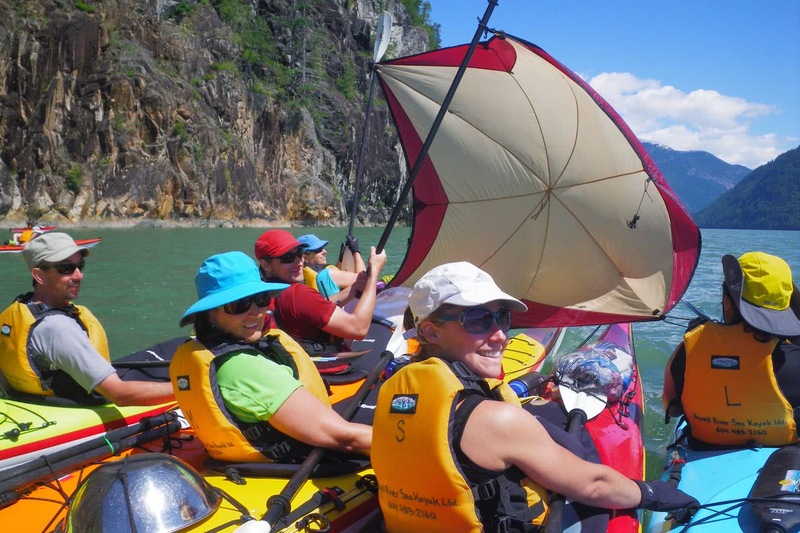 Expedition-style tours typically paddle from 5-6 hours (or 10-14 nautical miles) a day, with breaks for lunch and snacks - as well as to stretch the legs - to break up the kayaking. In comparison, our vacation-style tours tend to paddle from 3-4 hours a day (6-10 nautical miles). Please note that all trip itineraries are flexible and may be amended by our guides due to weather, group dynamic and paddling experience of the group. 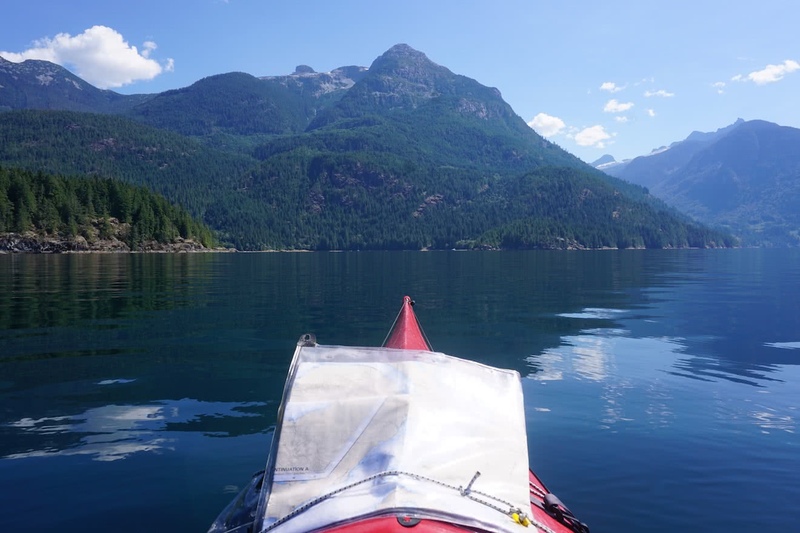 While Desolation Sound is still a key component of this trip, the expedition is designed to satisfy the appetite of those who are craving a more adventurous immersion into this rugged coastal environment. 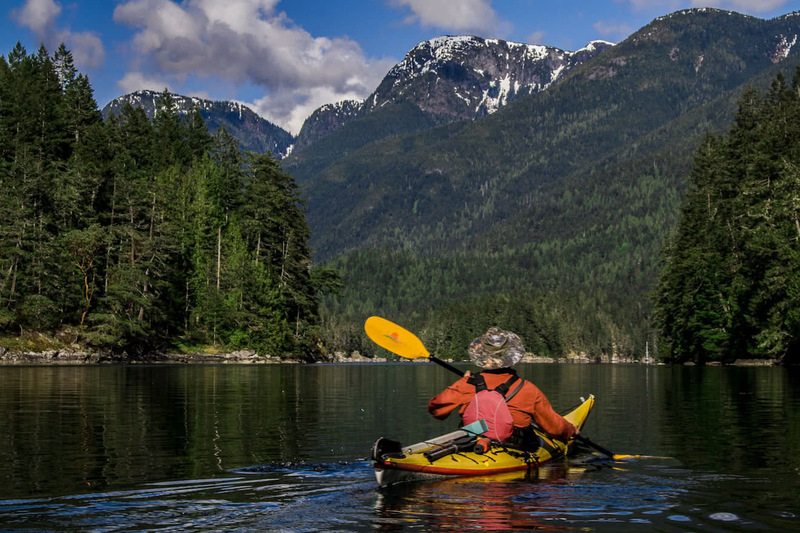 As you paddle up these remote passages, relative civilization is left behind and replaced by the remote and the wild. Granite cliffs rise sheer out of the ocean to icy peaks thousands of feet above. A welcoming pebble beach flanked by seemingly impenetrable rainforest suddenly opens up to reveal cosy wooded campsites at the mouth of wide mountain valleys. 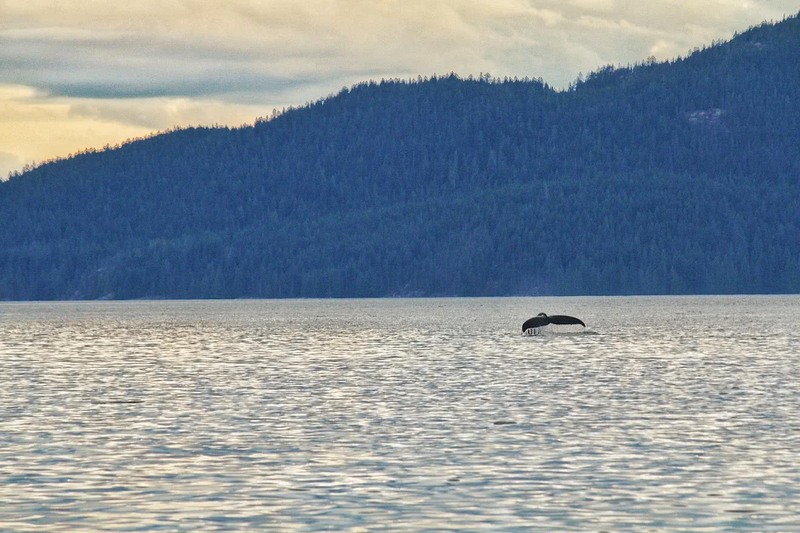 Torrential waterfalls, warm lakes, soaring peaks, thick forests, protected coves and bays, sandy beaches and salmon-bearing rivers are just some of the ecosystems that provide essential habitat for countless and diverse species of wildlife. Bald eagles are ever-present in the highest trees. Seals and sea lions aggregate in huge colonies and attract larger marine predators, such as transient killer whales hunting up and down the coast. Deer, wolves, cougars and black bears roam the forest. And in the remotest regions, Grizzly bears feed on fish and vegetation along river banks and estuaries. 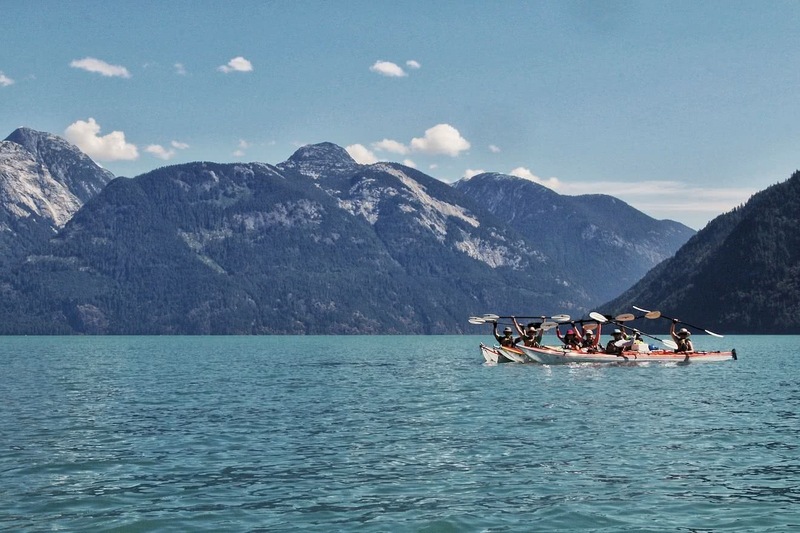 The pinnacle of a trip into the mountains, of course, is paddling the bright blue glacial fed waters of Toba Inlet and Pryce Channel. 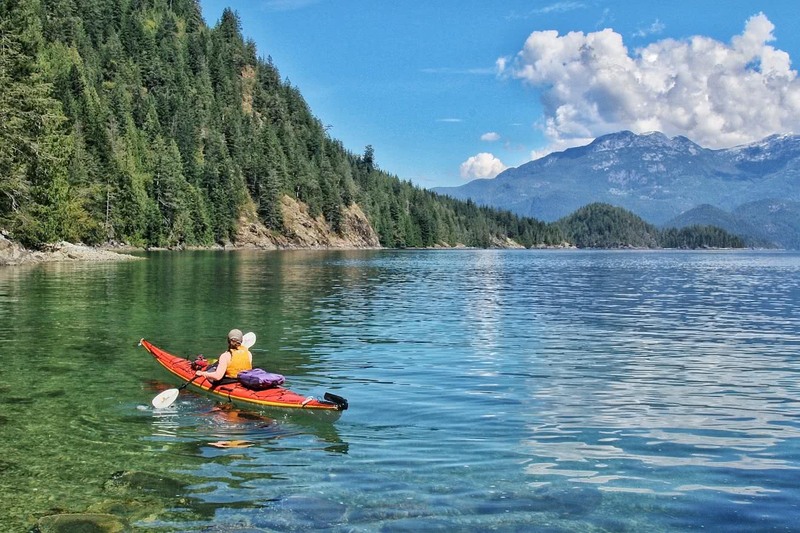 These waters provide breathtaking scenery at every new turn, from the impossibly high peaks of Toba to the serene forested valleys of Pryce Channel. Waking in the morning and sipping coffee beneath these towering mountains and ancient trees is a truly humbling experience. Preparing food, setting camps, planning routes, reading charts, interpreting weather; these stressful yet incredibly important activities can often take a casual paddler out of their comfort zone, especially when entering more challenging and remote areas of the coast. Our guided trips into these mountains are designed to take these worries out of your hands and allow you to soak in every sight and sound and truly experience this incredible landscape. 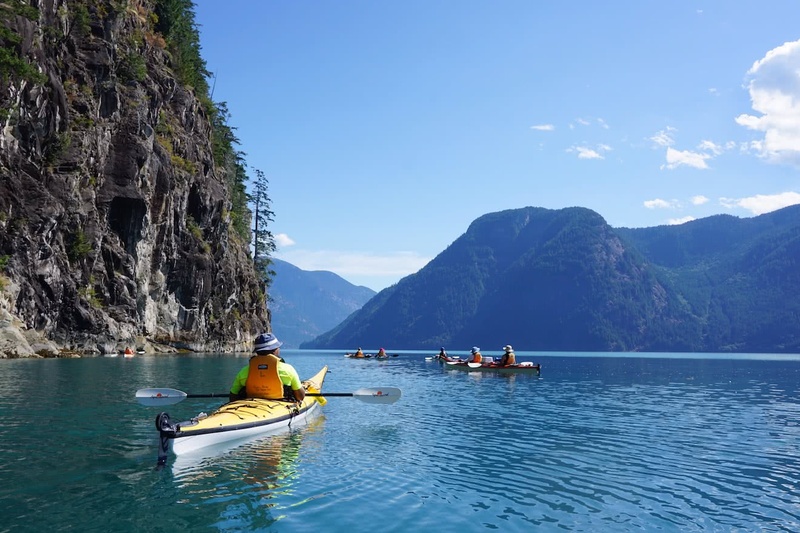 All our lead guides are fully-certified members of the Sea Kayak Guides Alliance of British Columbia, and have extensive experience kayaking in these waters - and beyond - over numerous years and in all conditions. Amongst these mountains it seems impossible at times to find even a rocky beach for lunch, let alone a suitable place to put up tents and spend the night. 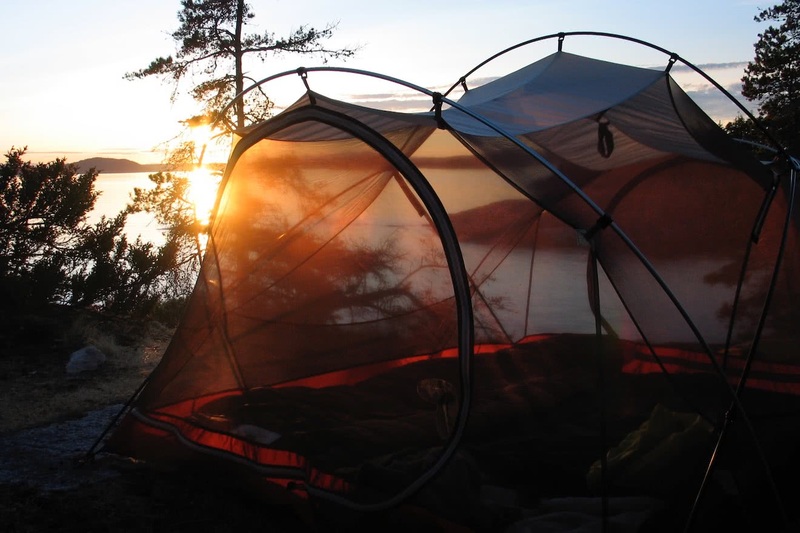 With 20 years of experience in this area, we know the best spots, and will lead you to hidden campsites nestled snugly beneath ancient forests. Furthermore, we have access to private tenured sites throughout this area for all group sizes, guaranteeing the most comfortable camps in the most convenient locations, exclusively for our guests. 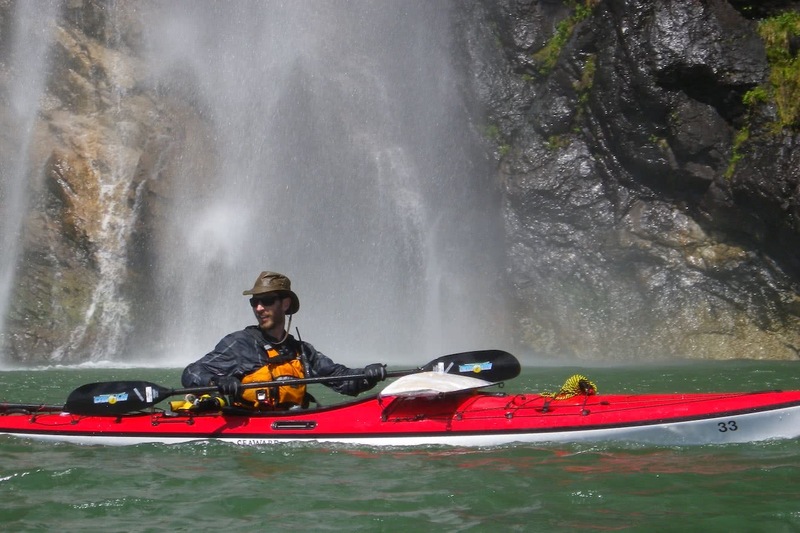 Our expedition trips are great for the adventurous, but not necessarily supremely experienced kayakers. 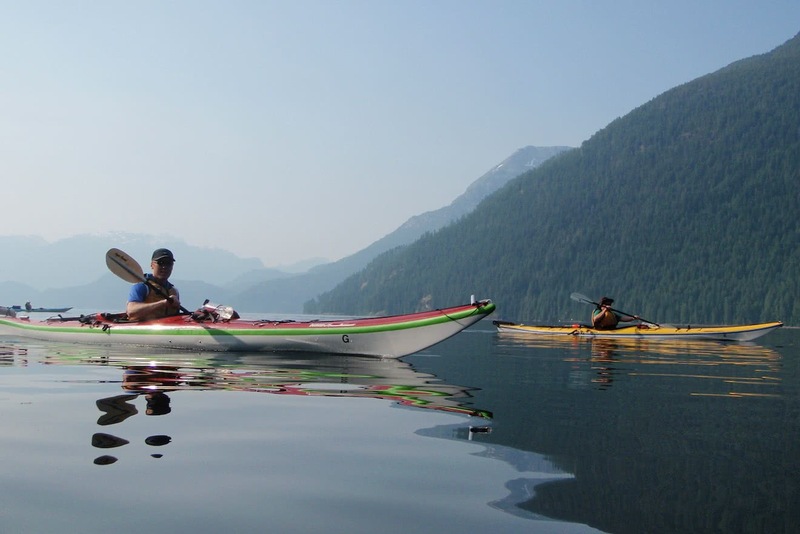 There is certainly a requirement - as with all our kayak tours - that guests have at least a moderate level of physical fitness, as well as a positive attitude and willingness to 'dig in' if the going gets tough (if it does at all). However, our fantastic guides are professional and experienced in these waters, and are well trained to look after the nitty gritty details of a kayak expedition in this area and keep the group safe, engaged, and well fed as well! At the heart of our guided trips is the comfort and satisfaction of our guests. Providing healthy, delicious, creative meals in an inspiring and safe environment has been the cornerstone of our philosophy for two decades, despite the remote locations we sometimes find ourselves in! In spite of the challenges associated with wilderness kayaking trips, our guides spare no luxury, using local ingredients wherever possible to create healthy and hearty meals far removed from typical camping fare. In season fruits and vegetables, as well as locally sourced meat and seafood - often harvested on the trip itself - provide the backbone of our meals, leaving our guests more than satisfied after a long day of exploration and exercise! We can even work with you to try and accommodate any food allergies or sensitivities that you may experience, allowing you to relax and enjoy each evening at your own time and pace. 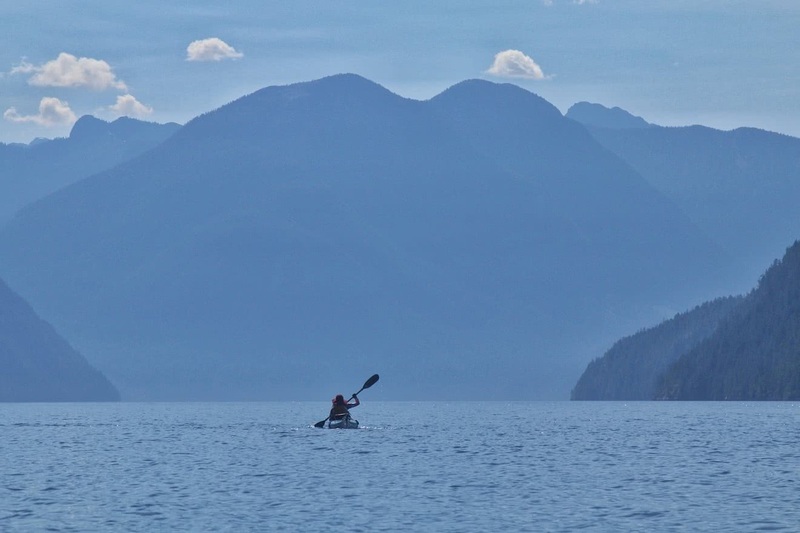 Thanks for your interest in a multi-day tour with Powell River Sea Kayak! You can read our pre-trip information document before you book by opening the tabs below. Compact sleeping bag in a compression sack (if your compression sack is not waterproof, line the sack with a garbage bag and then re-stuff your sleeping bag). If you need to rent a sleeping bag, we have these available for a fee of $25, regardless of trip duration. Please book this in advance. Our expedition-style tours can be expected to move camp every day and paddle 2.5-3 hours at a time, before and after lunch. Distance covered may be anywhere between 8-15 nautical miles a day. Our routes are flexible and dependent on many factors, including weather, time of year and group dynamic and abilities. Typically a 5 day expedition tour will aim to circumnavigate one of the Redonda Islands, while the 7 day tour may attempt to loop around both East and West Redonda, as well as explore deeper into majestic Toba Inlet. Both 5 and 7 day tours have loop-style routes and start and finish at our private launch site in Okeover Inlet. Thank you for your interest in our multi-day Desolation & Mountains kayak expeditions! Select a single date in the calendar within the date range that you are interested in. The individual tours taking place on that date will list themselves below the calendar with their price ranges and spots available. Click on surrounding dates in the calendar to view other tours taking place around the same timeframe. Click on the individual tour to be taken to the booking page. If you can't find anything that quite fits your needs, please email us and we will be happy to attempt to sort something out for you personally. Upon submission, we will review your reservation. In rare cases, we may need to suggest an alternate date, and will provide details at that time. It is your responsibility to be familiar with our policies for multi-day tours before booking. Please read our complete rates and policies page. 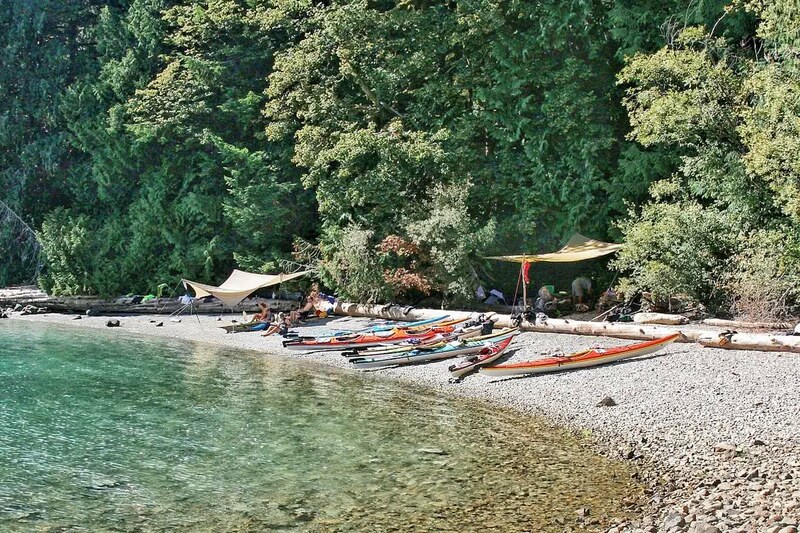 Our pre-trip planning page is also a great way to help you plan and prepare for your kayaking adventure. All prices are in Canadian dollars. Click here for currency converter. Preparing food, setting camps, planning routes, reading charts, interpreting weather; these stressful yet incredibly important activities can often take a casual paddler out of their comfort zone, especially when entering more challenging and remote areas of the coast. Our guided trips into these mountains are designed to take these worries out of your hands and allow you to soak in every sight and sound and truly experience this incredible landscape. 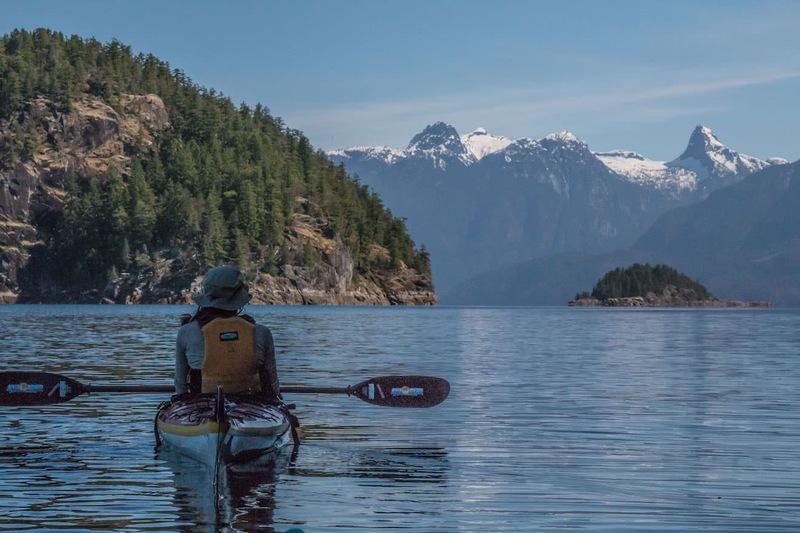 The outstanding natural scenery of Desolation Sound and the Coast Mountains provide a stunning backdrop, but scratch the surface and you will discover a richer story of Desolation Sound and the British Columbia coast is waiting to be told. Not only are our guides safe, excellent route planners and great wilderness chefs ... we live here, and are all deeply knowledgable and passionate about all diverse facets of this beautiful part of the world. Desolation Sound has an immense historical and geographical past - from the carving of the landscape, to its Native people and their beliefs, through to European exploration and the present day. Each cove and bay has a story to tell, as well as a whole world of marine and terrestrial wildlife to discover, from the microscopic to the very, very large. Our trips place special emphasis on the interpretation of this rich and diverse landscape, from the ocean below to the peaks far above, providing a far deeper understanding of this unique and special part of the British Columbia coast. Typically a 5 day expedition tour will aim to circumnavigate around one of the Redonda Islands, while the 7 day tour may attempt to loop around both East and West Redonda, as well as explore deeper into majestic Toba Inlet. 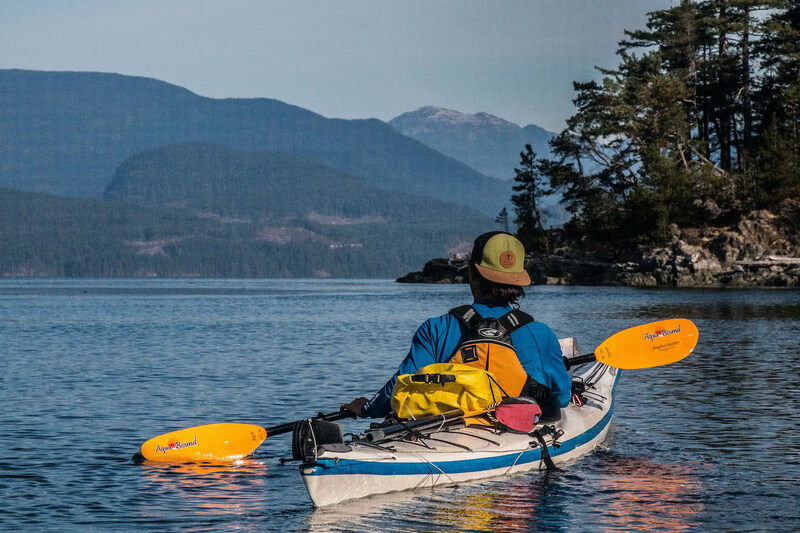 We only run a handful of our sea kayak expeditions each summer. Book now and start looking forward to your remote and rugged adventure! Prices in Canadian Dollars. Currency converter. 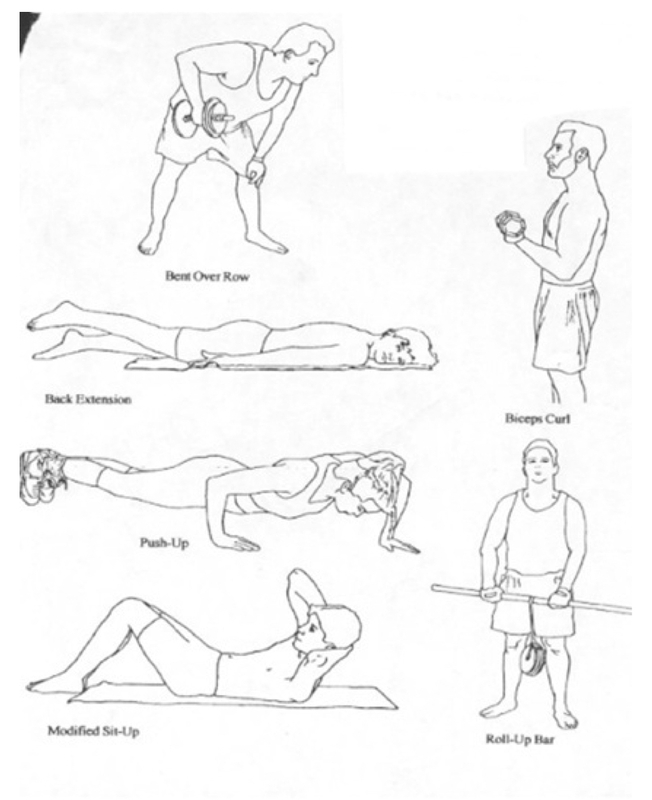 Taxes, rates and policy information.